Our philosophy is that any outdoor space, be it a tiny outdoor terrace or a sprawling country estate, should be beautiful, inspirational and practical for the needs of all who use it. Gardens evolve not only in terms of the growth of plants and trees but also to accommodate our lives as they change and influence what we want from our gardens. We have designed a range of spaces, from low-maintenance luxury roof terraces to family-friendly rear gardens. We involve you in the design experience by actively engaging with you from consultation through to handing back the garden at the end of the build. 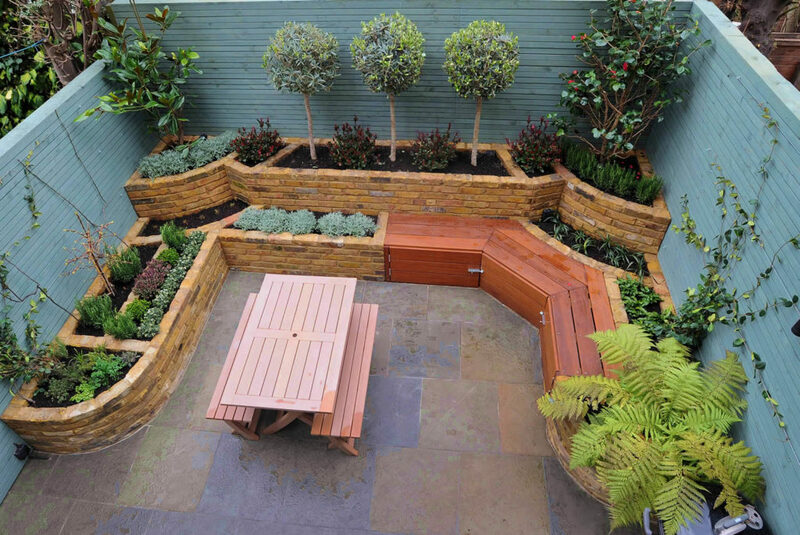 Our principal designer Lorraine trained at the renowned Pickard School of Garden Design and also holds RHS qualifications in horticulture. Lorraine works with you to ensure the design experience is enjoyable and informative, providing regular contact throughout the process. All plans are to scale and professionally hand drawn. The design process begins with the site survey, where measurements are taken. We then proceed to the consultation where we establish how the garden will be used and by whom. We get a feel for the style you are naturally drawn to while considering the surrounding environment, ensuring the design always complements and never jars with existing architecture and landscape. Once the key elements are agreed on we prepare the plans, which our team of highly skilled craftsmen will use to build the garden.